* Traumatic wounds (e.g., skin tears and secondary healing wounds). Mesalt® effectively debrides moist necrosis (slough) and stimulates the cleansing of heavily draining and discharging infected wounds. facilitating the natural wound healing process. Cover with Alldress, Mepilex Border, Mepilex Border Lite. Mesalt is not to be used on low exuding or dry wounds. The use of Mesalt has been presented in papers and study reports. The data are available from Mölnlycke Health Care on request. 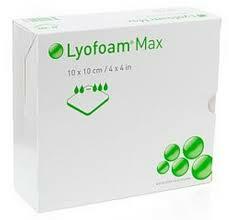 How it works Lyofoam is a layer of polyurethane foam, heat treated on one side to provide a smooth, hydrophilic, absorbent wound contact layer. in the treatment of light to moderately exuding wounds such as leg ulcers, pressure sores, post-operative and traumatic wound sites, burns and skin grafts. * Patient pre-operative skin preparation. * Wound cleanser and general skin cleaner. 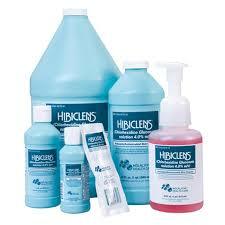 * HiBiclens (4.0% CHG) is the most effective antimicrobial wash providing the longest protection – up to six hours per use1- that is not neutralized by blood or other organic materials2. * Shown to be effective against various MRSA strains3. * Washing with HiBiclens prior to using an alcoholic/Chlorhexidine hand rub helps to remove debris (and possibly Pathogens) from the hands4. * Kills a broad spectrum of microbes5. * When tested against various CA-MRSA strains (more virulent and aggressive than hospital-acquired MRSA), HiBiclens proved to be 99.999% effective at killing within ten minutes of exposure6. * Adds Persistence and 6 hour residual kill over other antimicrobial soap washes7. * HiBiclens is unaffected by blood8. * Gentle yet powerful, HiBiclens was tested against 12 competing antiseptics and showed the lowest irritation potential, almost as low as water9.